This lakefront building is conveniently located off I-75. University Commons Office Center and Lakewood Ranch is the perfect setting for your business needs. This Executive Suite offers 53 private offices located on the third floor; prestigious business address and free building listing. Fully furnished offices from 100 sq ft to 370 sq ft with 24/7 access; plus day offices available. Dedicated high speed internet access and state of the art digital phone system. Well appointed reception area and receptionist to greet your visitors and guests. FREE conference room time in one of our three conference rooms; kitchen facility with free coffee, filtered water and vending. Digital color/B&W copy and fax services. 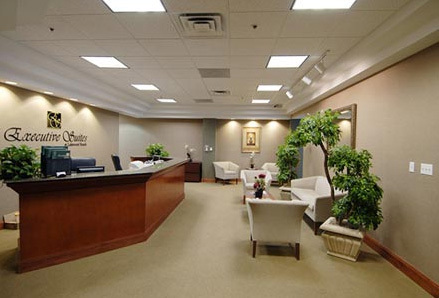 Daily janitorial services, office maintenance and utilities included at no additional charge.